Teachers—we hope you are enjoying this site and all the quality, enriching activities, resources and content provided! 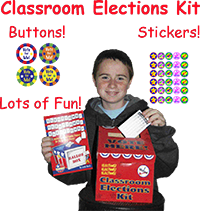 This site has been designed to complement the Classroom Elections Kit and other supplemental resources produced by Gallopade International. 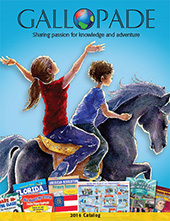 All of the weekly voting activities, downloads and content are integrated, so if you don't have Gallopade's Classroom Elections Kit, click HERE to visit the Gallopade website! Use these great lesson plans in your classroom. The lesson plans include hands-on activities that your students will love. A great election "dictionary" of important words & phrases students should know. Web sites with great information and activities related to elections. Recommended reading for those students who want to know more about the election process. .
You can view all of our products in our 2008 catalog, which is available in PDF format. You can email customer service by clicking here. We look forward to hearing from you!